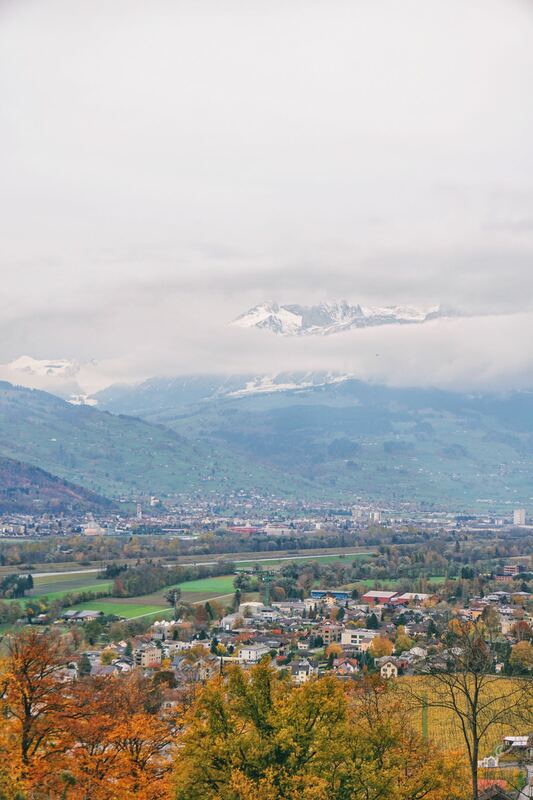 On my recent visit to Switzerland, I was so close to the tiny country of Liechtenstein that I just had to go. It’s one of those countries that you go to just because you can. And that’s what I did. Liechtenstein is much easier to get to than I had anticipated. You’re basically going to choose between train or rental car. I hired a car for my quick trip through Switzerland and I think hiring a car is the best way to get to Liechtenstein and also the best way to explore this tiny country. I got a great deal on holidayautos.co.uk out of Zurich Airport (only US$37 per day! ), so check them out. The drive is about 1 hour 30 minutes on a motorway from the airport or downtown Zurich. But if you don’t want to drive, the next best option is to catch a train. It’s possible to catch a train from Zurich Airport to Zurich Main Station and then onto Sargans. This trip will take about 1 hour 20 minutes depending on connection times and time of day (check https://www.sbb.ch/en/ for details). 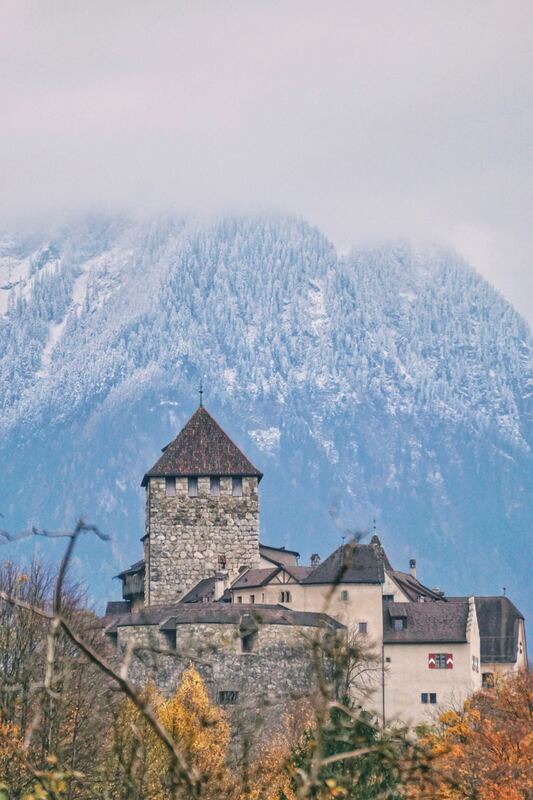 Sargans is really close to the border of Liechtenstein and from there it’s a 15 minute bus ride to the town of Balzers (just book your ticket on the SBB site to Balzers and the bus will be included in the price). There’s a couple of things to see in Balzers: Gutenberg Castle and Jubiläumskirche (a picturesque church). The best part about catching the train and bus to Liechtenstein is that it’s included as part of the Swiss Travel Pass (a pass giving you unlimited train travel in Switzerland)! Even travel on the bus within Liechtenstein is included in the Swiss Travel Pass (you can buy them here). Once inside Liechtenstein, there’s a really good bus network that can carry you around most of the country. 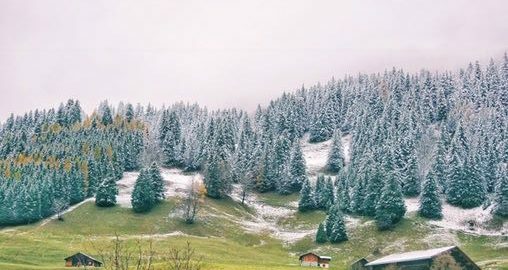 While driving around, I even saw buses going right up above the snow line and into the mountains, so you should be able to get everywhere you want (using your Swiss Travel Pass again – you can buy them here). Accommodation in Liechtenstein is expensive. If you have a car, you can choose to stay anywhere really, including Switzerland. But I chose to stay in Liechtenstein itself and got a really fantastic hotel with the BEST breakfast called Hotel Kommod (check the current price). It was expensive (US$130/night), but the quality was far above what I expected and it was very modern and also sound-proofed to the max. It’s located in an industrial area which is odd, but if you have a car, that’s irrelevant. The bus also stops out the front of this hotel. Your other options are going to be spread throughout the country and there doesn’t appear to be any one large concentration of hotels. During my research Hotel Restaurant Kulm looked like a good option especially because it has fantastic views and only cost $110 per night (booking.com price is here). 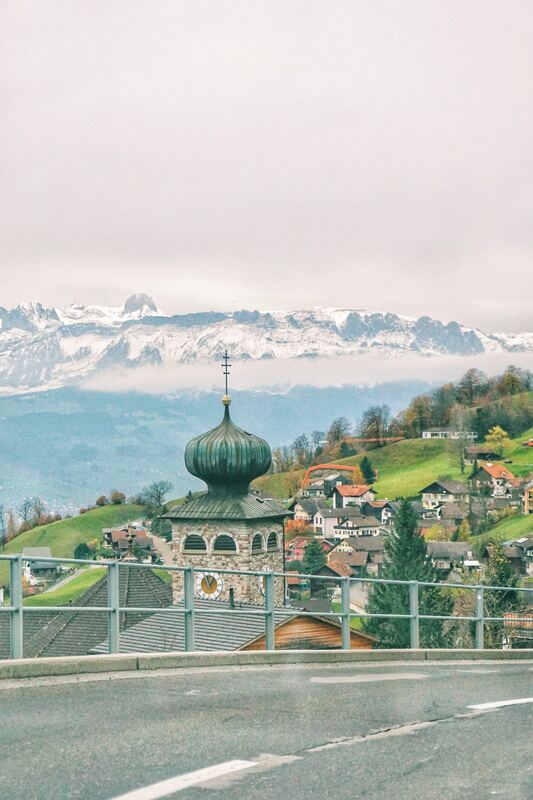 Liechtenstein is small and you really don’t need to spend much time there. In fact, I spent one night and about 6 hours the next day driving around. The main spots are Vaduz Castle, Gutenburg Castle, Jubiläumskirche and the awesome mountain road via Triesenburg to Malbun ski region. 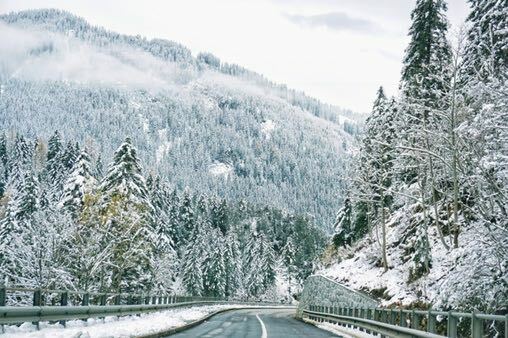 The mountain road is worth going up whether you’re catching the bus or driving your own car because the views are phenomenal especially as you go up through the residential area of Triesenberg. You can even stop here and grab a bite to eat at one of the local restaurants, but be warned that they can be very expensive (think US$50 per person or more). At the top of the mountain, the road proceeds through a tunnel to a valley at the back of the mountain and then on to the town of Malbun. Here you’ll find ski fields and LOTS of snow, even in early November mainly because the altitude is 1600m above sea level compared to 450m in Vaduz. So awesome. 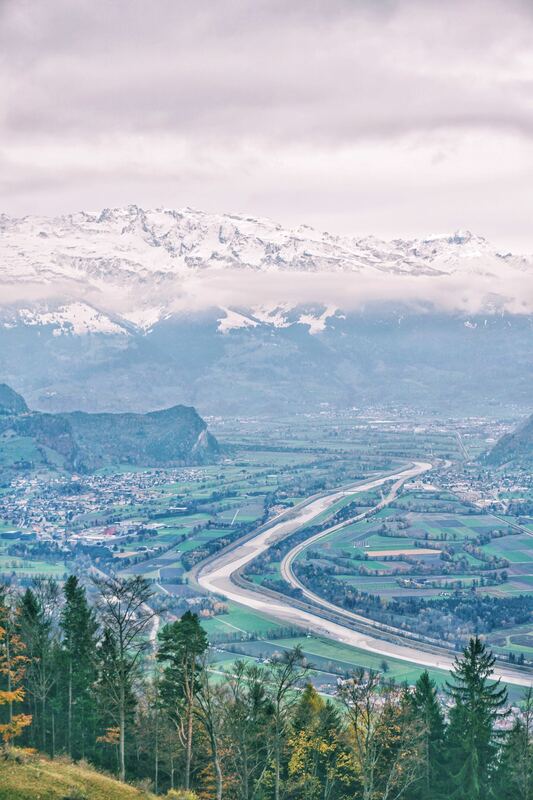 For me, the mountain road is actually the highlight of Liechtenstein. To get there, follow the signs to Triesenberg on the main 28 road south of Vaduz. The road to Triesenberg from Vaduz Castle was closed when I visited in November, but you might have better luck. Where you eat in Liechtenstein really depends on your budget and how much you care about your time in Liechtenstein. If money isn’t the number one factor for you, I highly recommend choosing one of the restaurants with a view in Triesenberg. Honestly, the views paired with good local food would be amazing. But if you’re on a budget, there are plenty of cheap options. Liechtenstein like any other country has fast food options such as McDonalds as well as supermarkets where you can buy pre-made sandwiches. It just depends on your travel style. Liechtenstein is an easy country to visit if you’re already in Switzerland, particularly Zurich. Just allocate a day to go there and you will have visited one of the smallest countries in the world! Let me know in the comments if you have any questions about how to get to Liechtenstein.